Ein blondes Gespann im Trio - out on the dancefloor - Avicii rührt wieder seinen typischen Beats - Nervo zwitschern in die Runde - Etta hat aber jüngst besser gezwitschert. Ist nicht von Avicii produziert (siehe unten). Guter Dancetrack mit einem tollen Refrain! 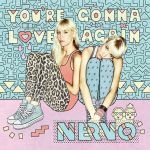 <br><br>"FOR EVERYONE'S INFO: I did NOT produce a track with NERVO! I helped them guide the production, that's it. In no way was AVICII supposed to be credited on their track and did NOT want anyone to exploit my name﻿ in conjunction with it! Now I need to rely on my fans and followers to help me SPREAD THE WORD." Not particularly great or unique. It's okay though. Kommt ganz gut. Solider Dance-Track. Muss man vielleicht auch einfach noch ein paar Mal hören. Ganz passabel, die Vocals passen hier gut zum Sound. ich finds einfach nur geil!!! ▒ Mij bevalt deze aparte, lekkere dansplaat uit begin januari 2012 van het blonde Australische tweelingzustersduo "Miriam & Olivia Nervo" wel !!! Ook de videoclip vind ik goed !!! Exact 4 sterren ☺!!! Leider nicht wirklich interessant, dafür aber beinahe schon überproduziert. The beat is good and has some potential. The opening verse sets a poor standard which leaves the song in a rut. The vocals and lyrics lack vibrancy for a dance track. Une EDM à l'époque très en vogue mais malheureusement inaudible aujourd'hui (du moins pour moi).